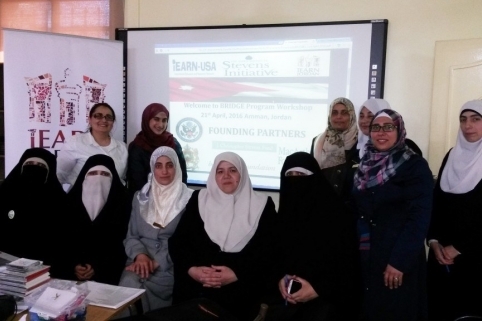 iEARN has conducted a number of teacher training programs across Jordan involving schools throughout the kingdom. iEARN-Jordan conducted a first face-to-face BRIDGE Program workshop on April 21st, 2016 in Amman. Ten teachers participated in the workshop to learn about the new program and global, project-based learning with iEARN.